How do you become a more valuable person? 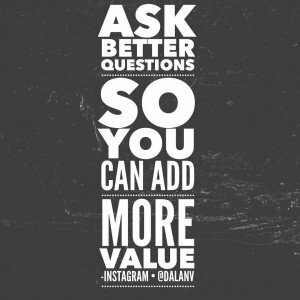 In many situations, particularly the competitive corporate world, people spend lots of energy trying to sound smarter than the next person by giving better answers. We want to get credit for being right and prove that the other people were wrong. Well, here’s a shift to consider. Instead of trying to sound smart, focus on being the person who adds the MOST VALUE! How? 1. 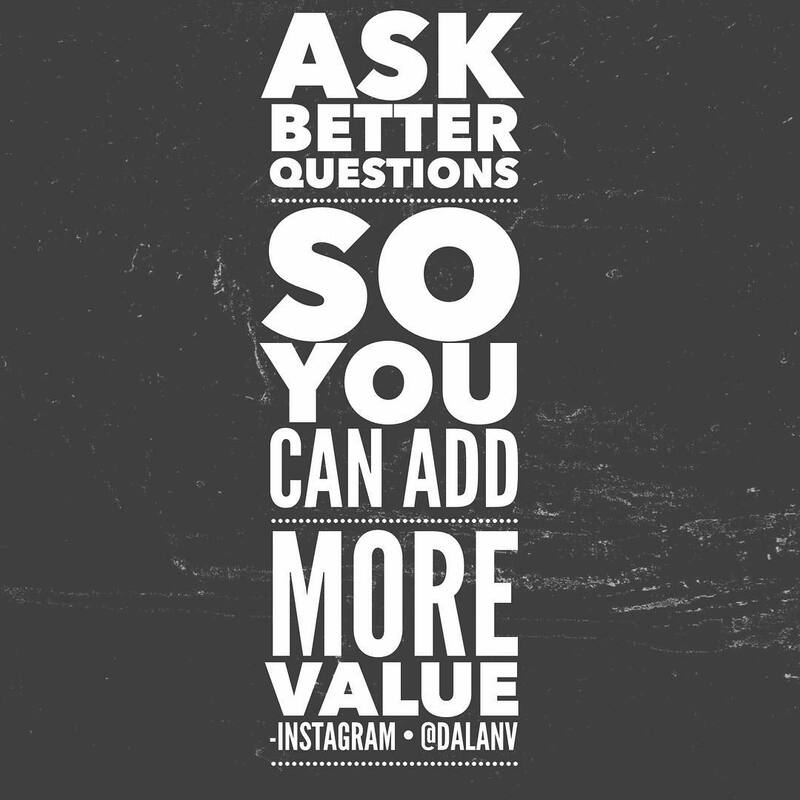 Ask better questions. The one who can best define the problem and understand the needs at hand will likely produce better answers when the time is right. 2. Be a thought leader. Brendon Burchard describes this in a recent podcast. Be the person reading, researching and sharing new relevant ideas that add new perspectives and value. Building a community around this flow of information creates a powerful platform. 3. Leave things and people better than you found them. Stop focusing on making yourself shine, and spend more energy sharing things that make people better. Many of them will start to recognize and reciprocate your contributions to their mission. Master this and you’re on the way to greatness! Comment and share if you got value from this tip.